Prof. Jan Bäse – is a professor for industrial design with specialisation in the design of technical investment product design at the Magdeburg-Stendal University of Applied Sciences since 2016. As a designer and partner of the Berlin based agency büro+staubach Jan worked on numerous international projects in the field of transportation design, investment goods and furniture design with 20 years experience. His main focus is the design of passenger trains. He was responsible for the design of underground trains for cities like Berlin, Rio de Janeiro, Buenos Aires, Harbin and Beijing, of trams for the cities of Krakow, Shenyang, Guangzhou, Songjiang, Graz, Düsseldorf, Potsdam, Bochum, Nuremberg and Munich and the latest train generation of the world famous overhead monorail in Wuppertal. He won design awards including the iF product design award in 2006 (gold), 2008, 2012, 2013 (gold), 2015 and 2017, Deutscher Multimedia Award (2005) and Designpreis Brandenburg (2008). Jan was teaching drawing techniques at the Kunsthochschule Berlin-Weißensee, the Hochschule für Gestaltung Offenbach am Main and worked as a lecturer for industrial design at the University Of Applied Sciences HTW Dresden. It is my concern to share my 20 years of experience and pass on my knowledge. I am curious about how students‘ handle a task set and which, often amazingly new approaches emerge. I find it unavoidable to guide craftsmanship. But it is just as important that students raise awareness of technical innovations, materials and trends and encourage them to be critical of to deal with and decide for themselves whether to integrate what they have learned into their design activities. Or want to consider a time flow to be permissive. In this way, they can become design personalities. Prof. Bernhard Schmid-Wohlleber – is the Professor for Design Fundamentals Post-graduate designer www.design4eyes.de at Magdeburg-Stendal University of Applied Sciences. And between 1993 – 1997 Bernhard taught at the Pforzheim University of Applied Sciences, College of Design, Technology and Economics. In 1992 he established DESIGN 4 EYES in conjunction with Anette Wohlleber. Prior to this Bernhard was design manager at FrogDesign, Altensteing and between 1987 – 1989 worked for Seiffert-Design, Wiesbaden. Bernhard leads the foundation studies in Magdeburg as the cross-linking between the subjects of Product Design, Model Construction and Interaction Design. This cross-linking – which takes place every semester under a common theme – enables the students to experience the quality of a holistic project across the fields of product and interaction design as early as the 2nd semester.The physical models are augmented by animated scenarios and interaction simulations thus resulting in a complete solution of the set task. Design for the blind and visually impaired is another interest and he has developed research into new concepts in the fields of orientation and working equipment and aids for the blind and visually impaired. He is primarily interested in the subject of designing non visual systems and structures as well as the exploration of congruences between visual and tactile perception. 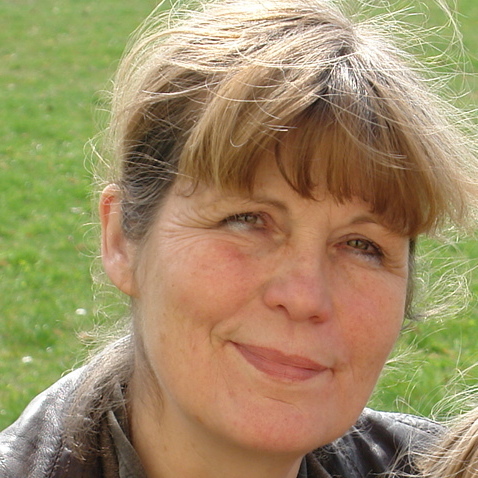 Prof. Martina Stark – studied at the High School diploma (Abitur) in Leipzig to 1972. From 1972-78 she studied at the University of Industrial Design, Burg Giebichenstein, Halle gaining a Degree in Painting/ Textile Art under Prof. Willi Sitte. Since 1978 Martina has worked as a freelance visual artist in Magdeburg and she is a member of the professional association of visual artists (VBK/BBK). Numerous projects in the fields of architectural art and free graphic art, 1990 foundation of the ATELIER STARK, initiation and organisation of the exhibition “Vorgänge III”,1993-2009 initiation and organisation of altogether ten international textile art plein-airs. Since 1998 lecturer at the Magdeburg-Stendal University of Applied Sciences, Institute of Industrial Design,Numerous individual exhibitions,Participation in exhibitions: e.g. in Magdeburg, Dresden, Weimar, Leipzig, Frankfurt (Oder), Berlin, Moscow (SU), Lodz (PL), Bydgoszcz (PL) (Martina Stark is married to a neuroscientist and mother of two adult daughters. The elder daughter works as an artistic employee at the Burg Giebichenstein University of Art and Design in Halle and the younger daughter as a conservator in Leipzig.) Martina Stark is a lecturer at the Institute of Industrial Design, belonging to the Department of Engineering and Industrial Design of the Magdeburg-Stendal University of Applied Sciences. She has been the University’s equal opportunities officer for numerous years now. In this capacity, she initiated the automotive design gender class, in cooperation with her colleague Holger Thies. For some years now, this project has been very successful and it has helped pave the way for young female designers entering the male-dominated automotive industry. 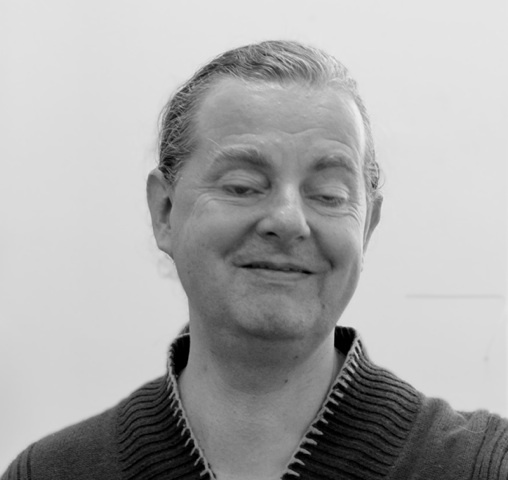 Prof. Dominik Schumacher- is a full professor for Interaction Design and head of the department of Industrial Design Technologies at Magdeburg-Stendal University. He leads the course of cross-media studies and is a member of the committee for continuing studies. His research work focusses on user centred strategic design in interactive media. He is actively involved in multiple research projects including a project to provide tactile experiences for visually challenged people. Previously Prof. Schumacher taught at the Berlin University of the Arts and was an artistic associate at the Advanced New Media Class Prof. Sauter. He is the co-founder of the design studio TheGreenEyl in Berlin and New York. Their work was selected for Ars Electronica and the Japan Media Arts Festival in Tokyo. He holds a degree in digital media design from the Berlin University of the Arts, studied at the Central Academy of Fine Arts in Beijing and the Universidad Autonoma de Barcelona. and is a professionally trained engineer in industrial electronics, fluent in Spanish, Mandarin, German, as well as English. His creative work has been exhibited internationally for over 13 years and he is published in multiple international publications on interactive and media design. Dominik won the Europrix Multimedia Award over multiple years as well as design awards in London and Tokyo.